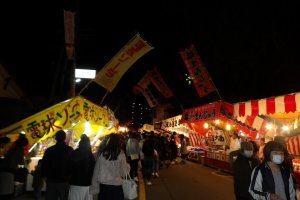 The Tsubaki Matsuri is a popular annual festival unique to Matsuyama. 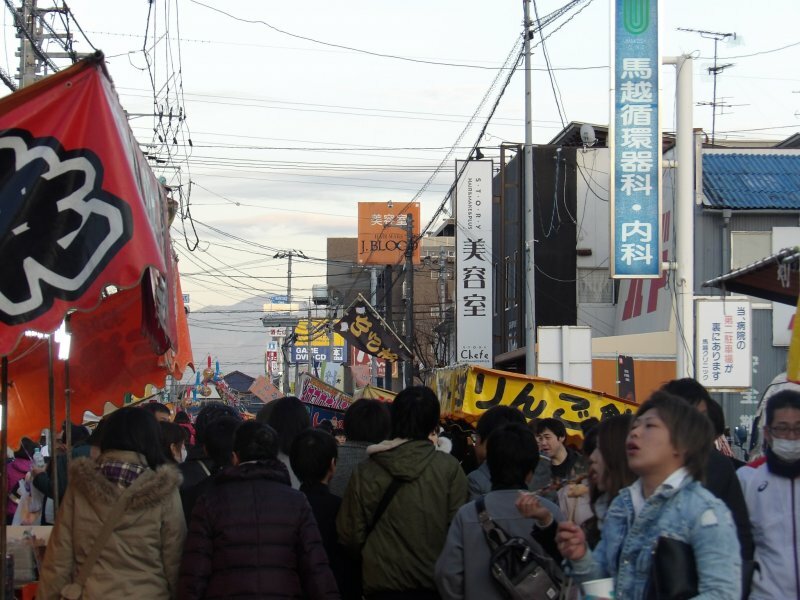 The atmosphere is electric, vivacious, and merry, especially when beer starts flowing and the mikoshi (portable shrine) processions are happening. 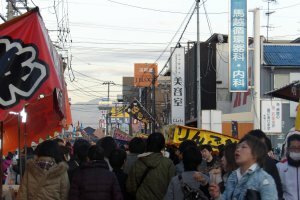 It is held every year on Setsubun (and the days following it), the festival which celebrates the changeover of the seasons on February 3rd. 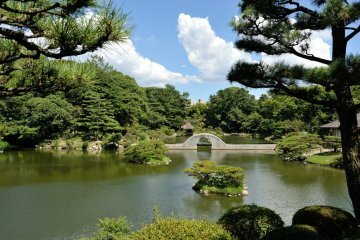 At this time of year it is still quite cold, but the plum trees are just beginning to blossom in Ehime, signaling the end of winter. 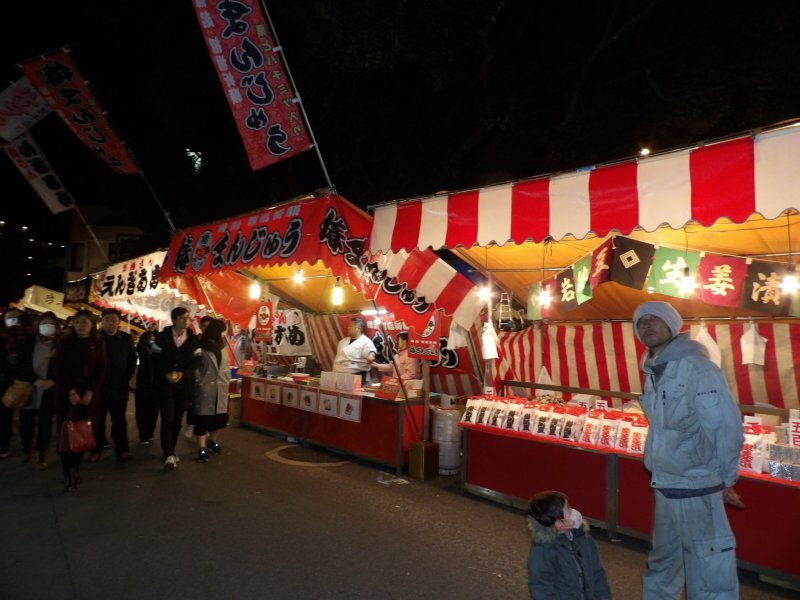 Traditionally at Setsubun, dried beans are scattered to scare away the devil from homes and welcome good fortune. 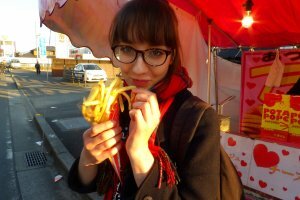 You are also supposed to eat an amount of beans equal to your age plus one. 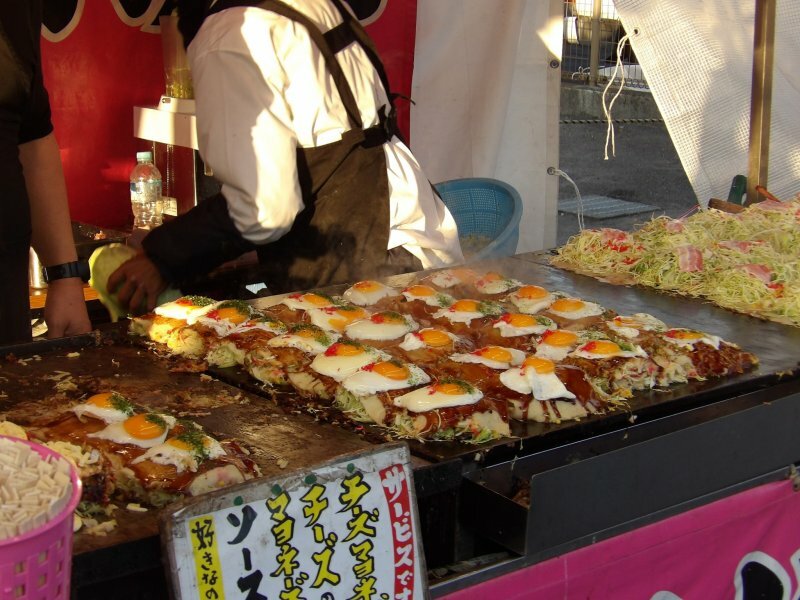 But if you’re still peckish after your soybeans, you won’t be disappointed by the volume and variety of food available. 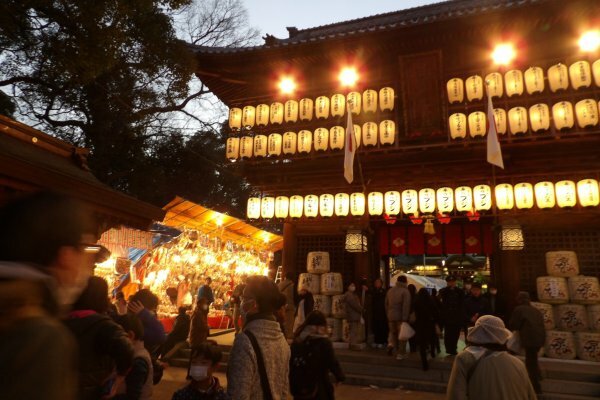 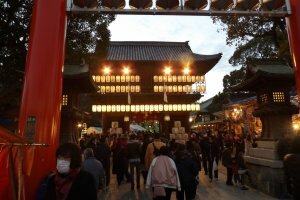 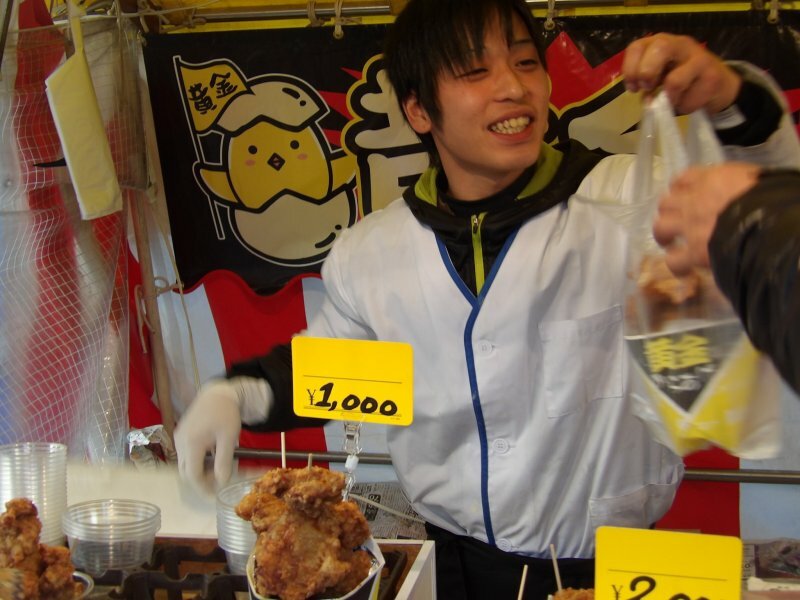 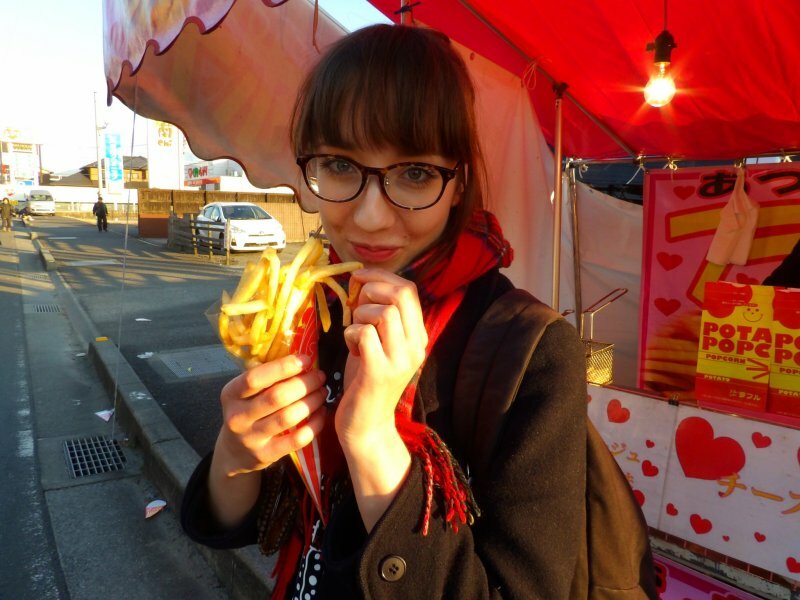 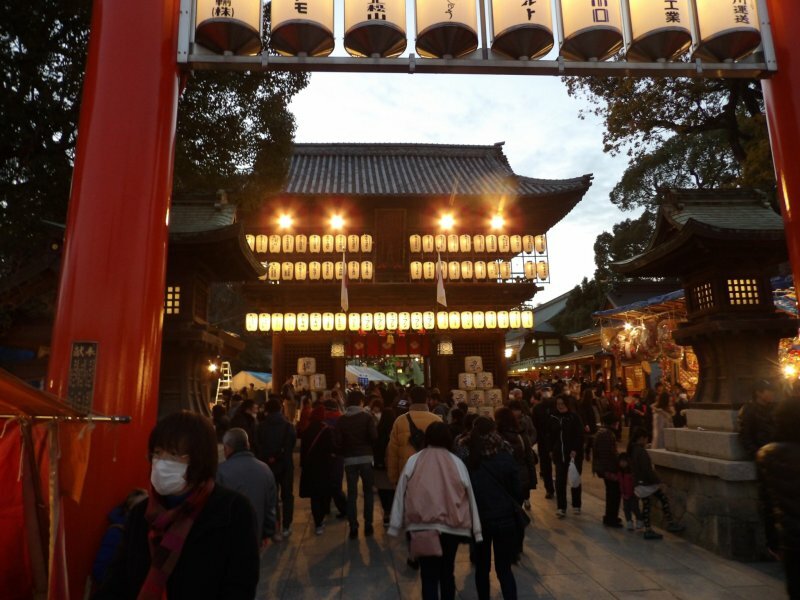 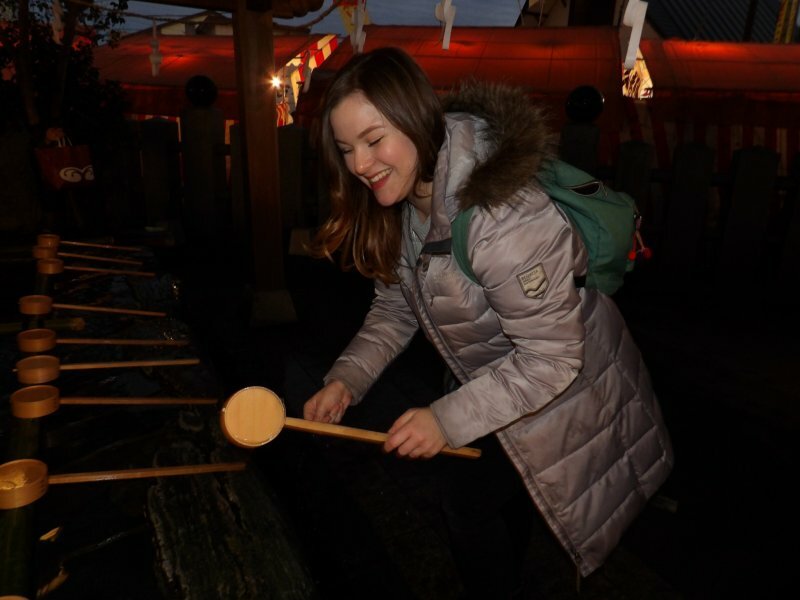 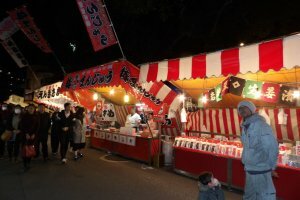 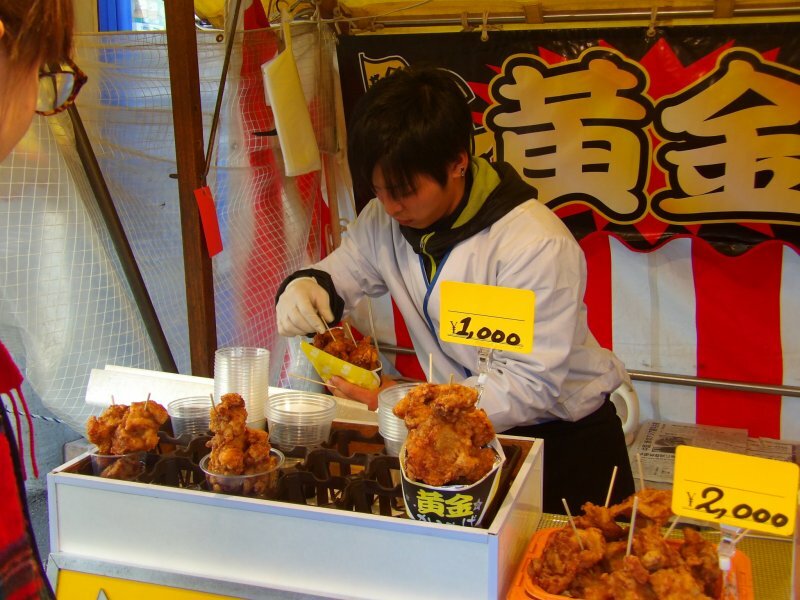 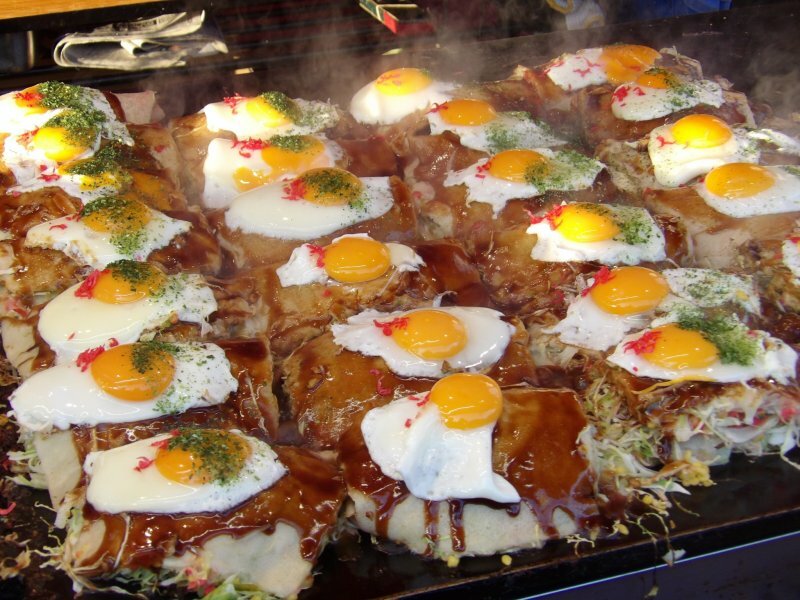 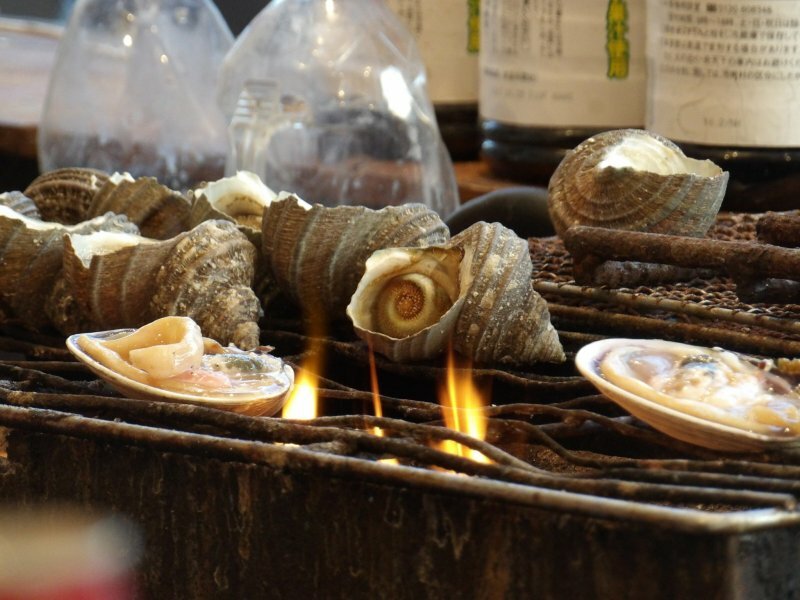 In the streets surrounding the shrine, there are stalls selling culinary delights ranging from okonomiyaki, oysters, fruit, beer, candy floss, karaage (fried chicken), fries, rice crackers, grilled meat, and squid, to name a few. 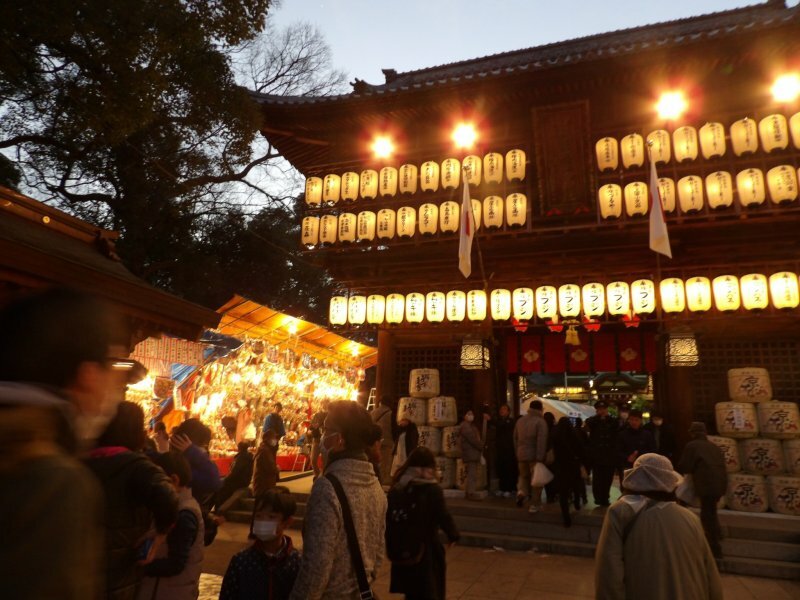 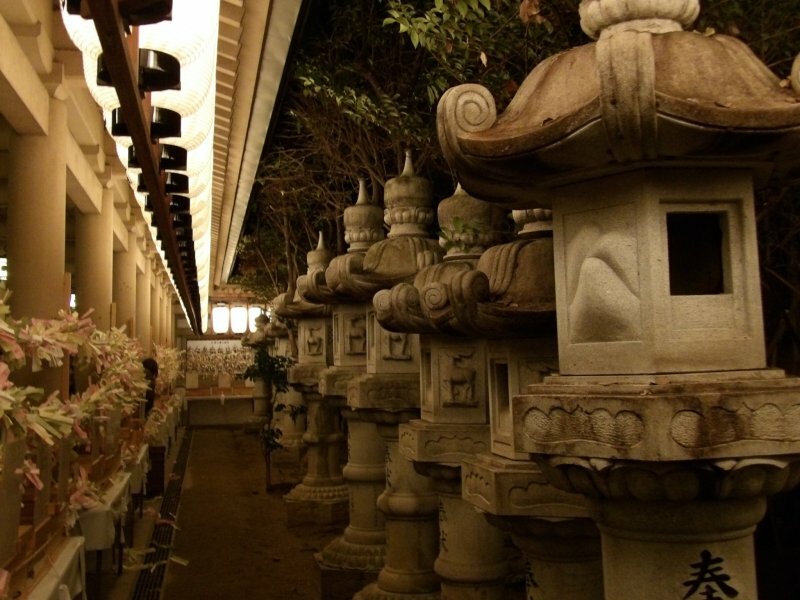 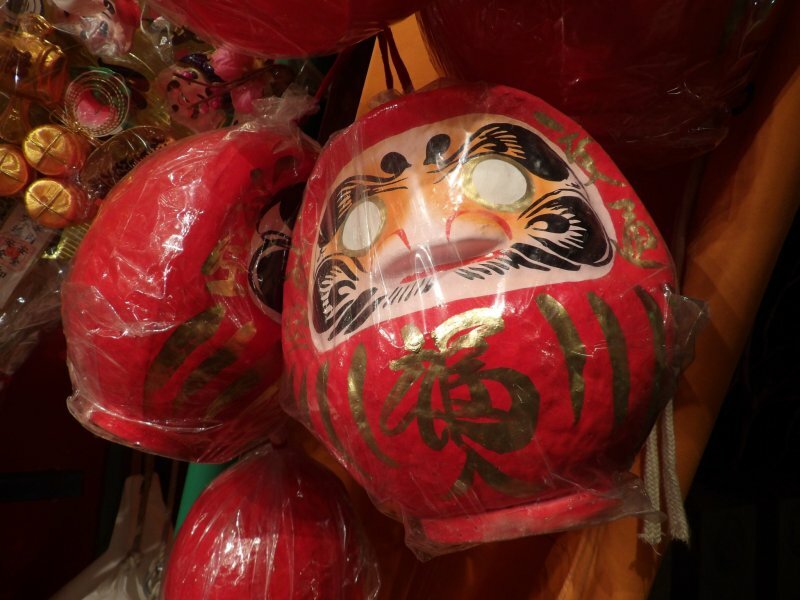 At the shrine, after you have made your offering, you can purchase fortunes and good luck tokens for the year ahead. 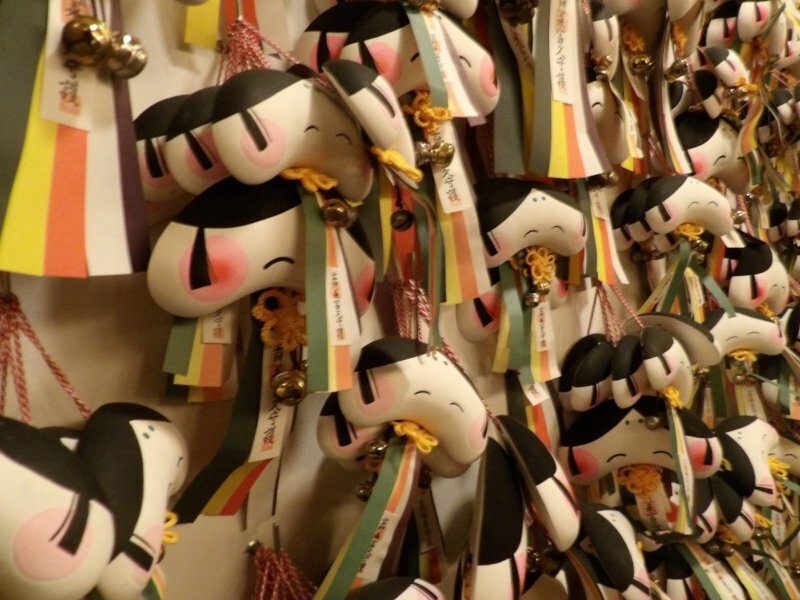 The purpose of the charms ranges from good exam performance to safe driving. 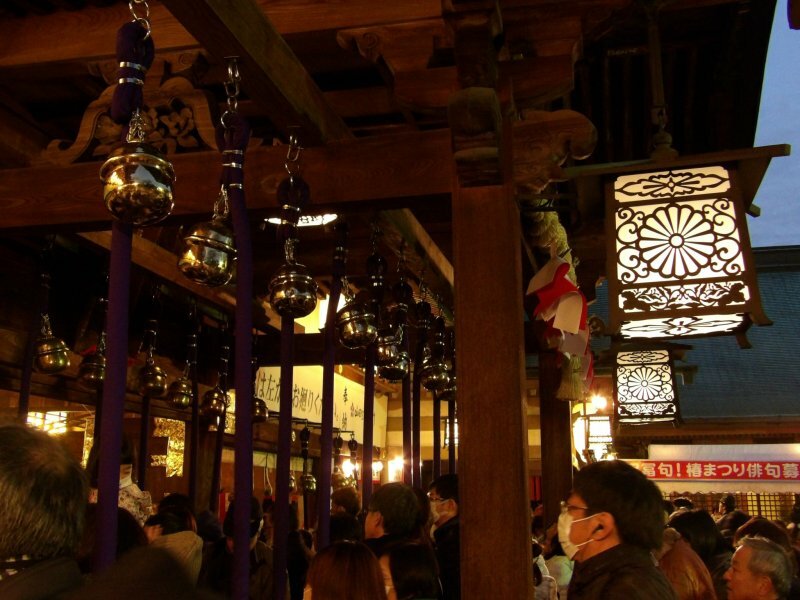 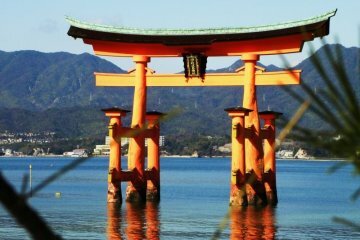 The shrine's tsubaki (or red camelila) symbol adorns many of the ornaments and buildings – another reminder of the approach of a beautiful Japanese spring. 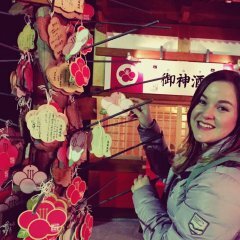 They were! 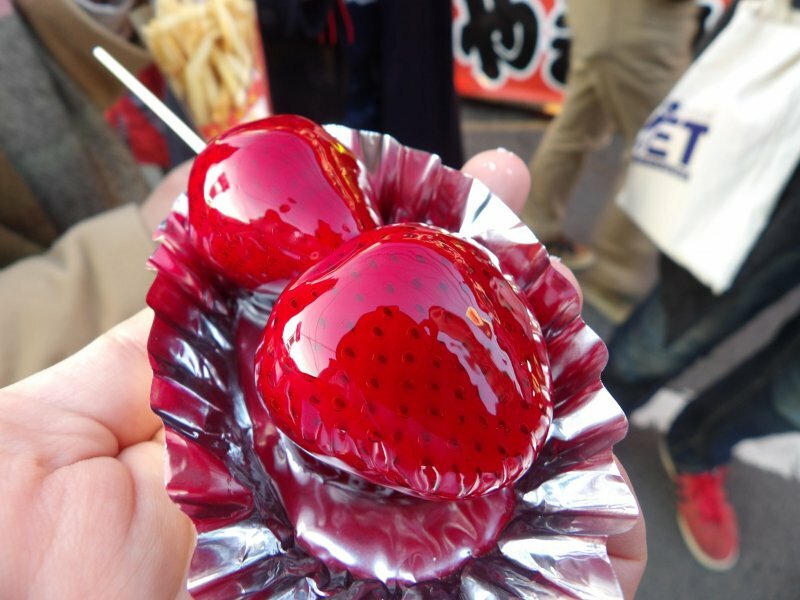 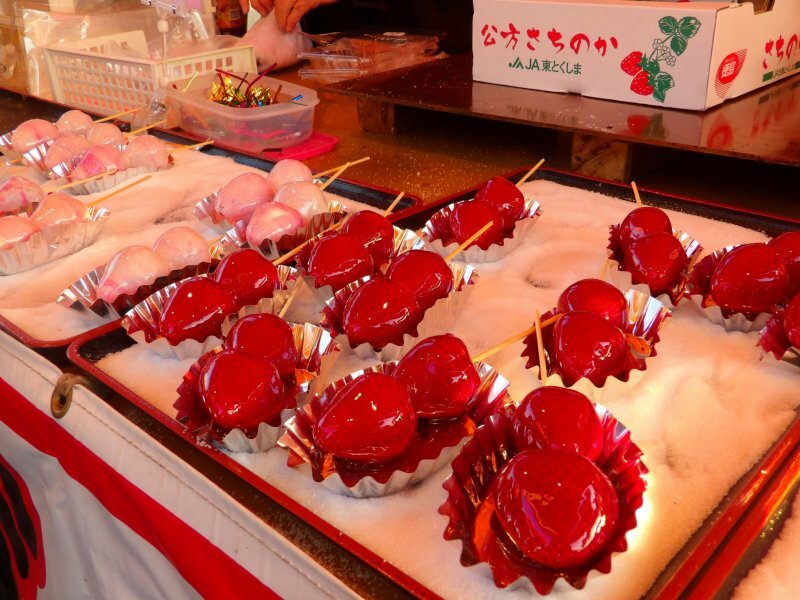 They also had candied mikans, a regional speciality!